Bloomfield police are searching for suspects using fake credit cards to withdraw money from ATMs and make large purchases. Police said they've seen a number cases where suspects use fraudulent credit cards after skimming devices obtain victims' credit cards information from local fuel station pumps. 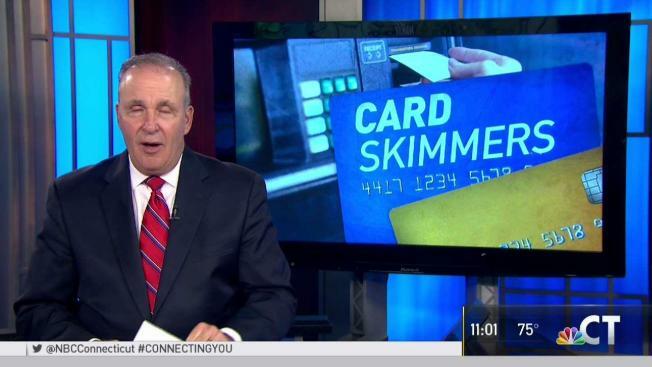 The information captured from skimming devices are used to create the fake credit cards and suspects are using them to either withdraw money or make purchases, police said. Two suspects were caught on camera withdrawing money with fake cards at Citgo on Blue Hills Avenue on Thursday. Bloomfield Police asks that anyone having any information regarding the suspects or the cases call (860) 242-5501.